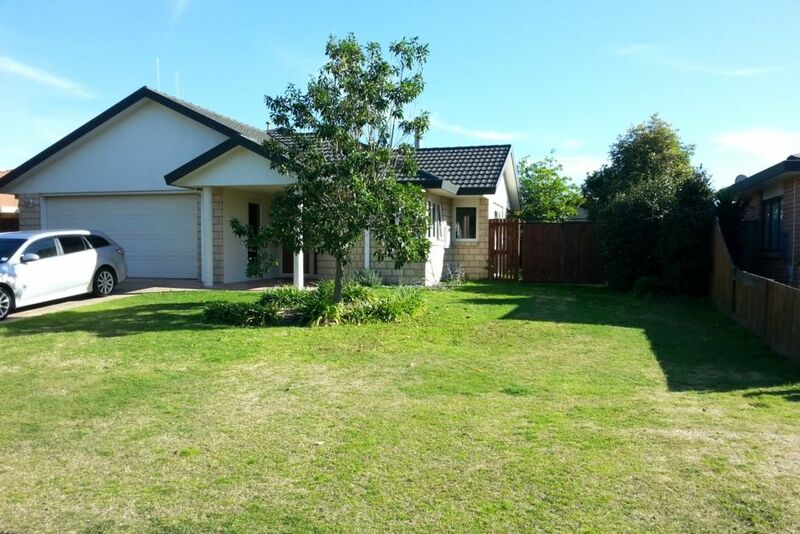 A great family home to relax and enjoy your holiday at the beach. A good sized fully fenced section for the kids with trampoline, slide, tree hut and bars. Play ground and park at the end of the street. An easy walk to the beautiful white sandy Papamoa beach for surfing, surfcasting or just relaxing in the sun. It's a cruisey bike to Fashion Island, Papamoa plaza or Bayfair Mall. A short drive down to the Mount or hop over to visit the new waterfront in Tauranga. So close to the lovely views and walks in the Papamoa Hills. 3 golf courses nearby. only 50 minutes to Rotorua. Enjoy the afternoons relaxing in the private yard and fire up the Weber. Families only. No parties. Bond of $400 required with final balance. To be returned in full after final inspection providing to damage or breakages. No smoking on property. Exactly what we needed for a family get away. Lovely home, would definitely stay there again. This booking was perfect for our needs - thank you for allowing us into your home. Perfectly appointed for a great holiday. Located within a residential area, just around the corner from a park. Great house - spacious and well maintained. Would definitely come back here. Would definitely come back here. Ample space in and outside of the house. Everyone thoroughly enjoyed their stay.Very close to everything needed (beach, park and shopping mall) Would recommend this place to anyone looking! !